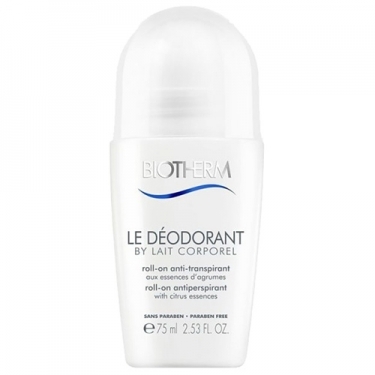 DESCRIPTION: Le Déodorant by Lait Corporel Roll-On from Biotherm is an antiperspirant deodorant with citrus essences from Lait Corporel. 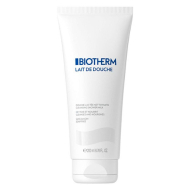 This soothing product lets the skin breathe and regulates perspiration for 48 hours. Fluid texture, with a slightly powdered film that is non-sticky and becomes invisible when dry. Infused with microparticles of mineral rock of volcanic origin. 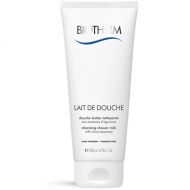 Apply daily after cleansing in the armpit area.